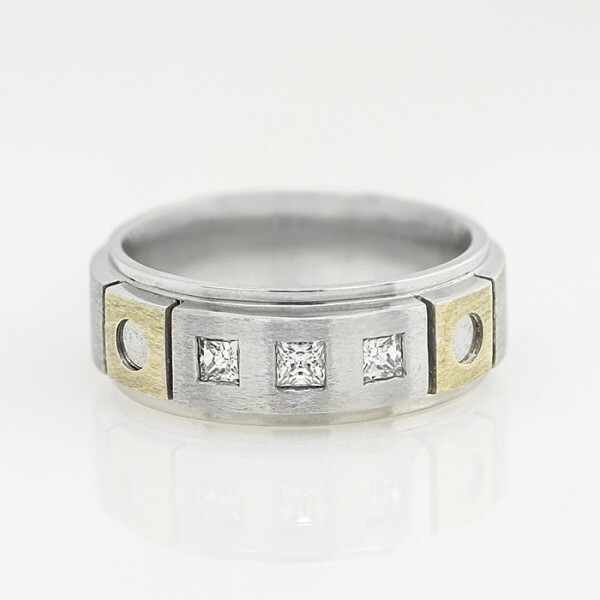 Encounters - 14k White and Yellow Gold - Ring Size 10.0 was added to your cart. This robust two-tone gold ring is set with three Princess cut Contemporary Nexus Diamond for a total weight of 0.39 carats. High polished, relief edges contrast with the mechanical matte-brushed finish of the raised center of the band for a distinctive geometric look.